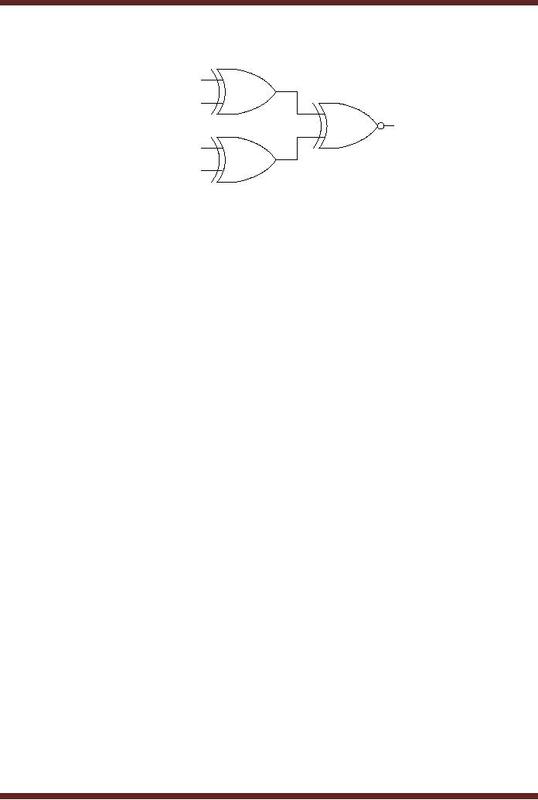 the output of a NOR gate (1). 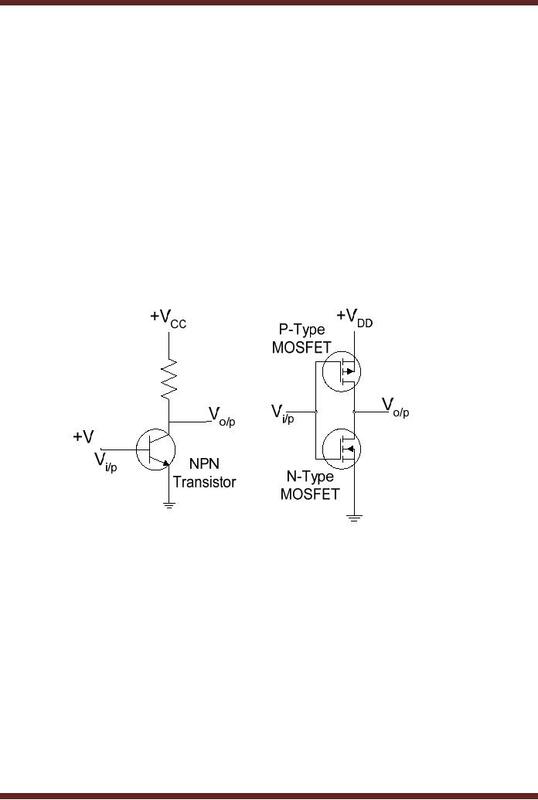 Figure 6.2.
implemented using a NOR gate. Figure 6.4. 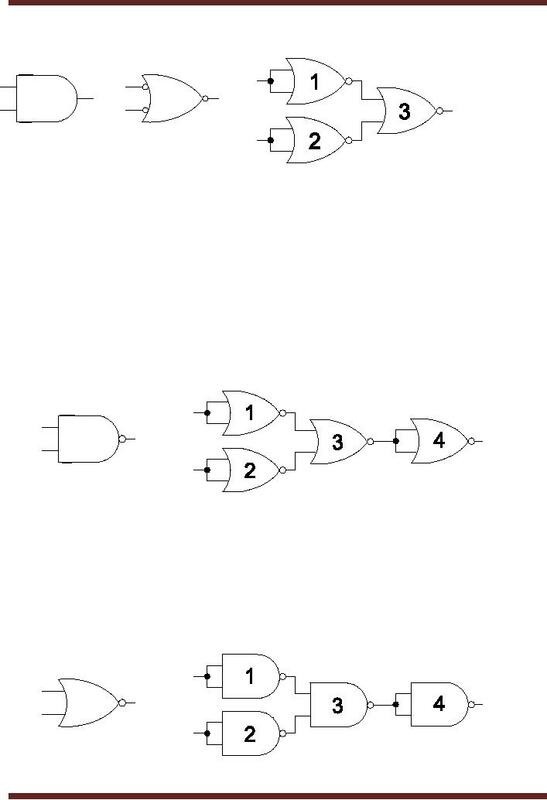 NOR gates 1, 2 and 3 implement the AND gate. 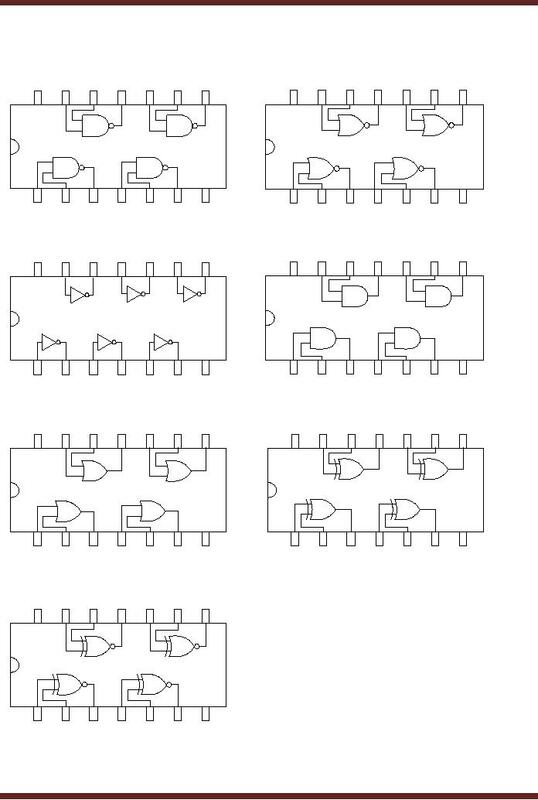 NOR gate 4 implements the NOT gate connected at the output of the NAND gate. implemented using a NAND gate. Figure 6.5. NAND gates 1, 2 and 3 implement the OR gate. NAND gate 4 implements the NOT gate connected at the output of the NOR gate. NOR gate are deactivated. The output is deactivated when any input is activated. failure of one or more exhaust fans. Washing Machine all the sensors output a 0. The corresponding output of the NOR gate is a 1.
the main switch which switches off the washing machine. 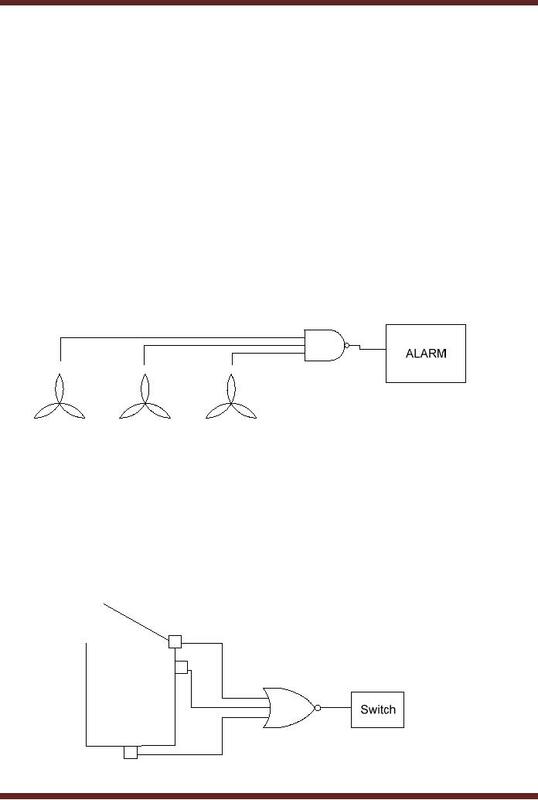 Figure 6.7.
gates are used to detect dissimilar and similar inputs respectively. 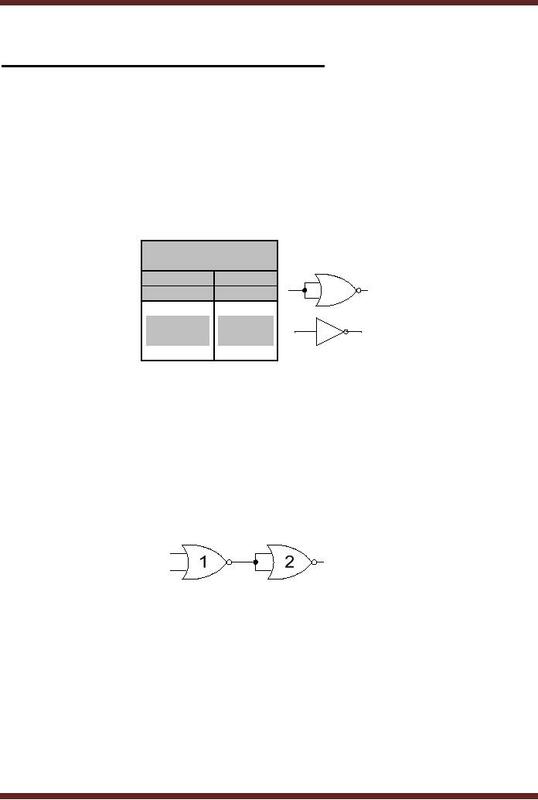 XOR Gates have two inputs. 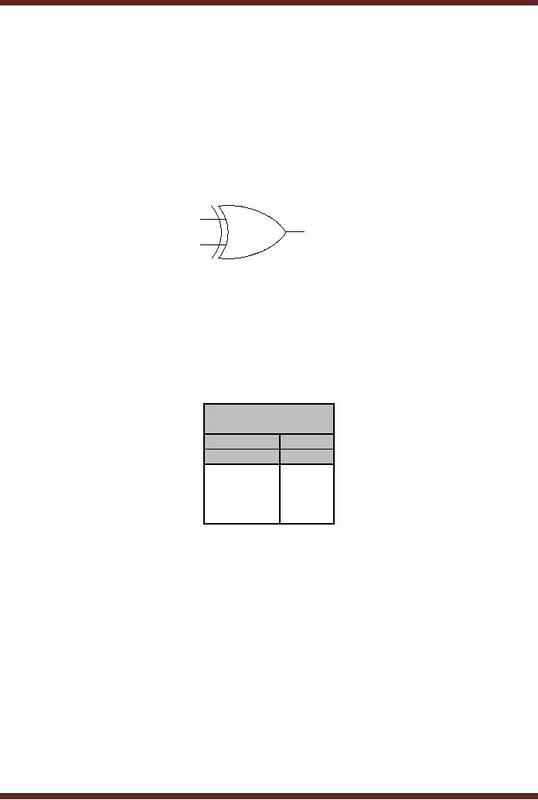 The XOR gate is represented by symbol shown in figure 6.8. F = A ⊕ B ⊕ C ⊕ .....N , where N is the total number of inputs. time intervals is shown in the diagram. Figure 6.10. XNOR Gates have two inputs. The XNOR gate is represented by symbol shown in figure 6.11. The expression describing the operation of the two inputs XNOR Gate is F = A ⊕ B . 7 time intervals is shown in the diagram. Figure 6.13.
gates 1 and 2. The output of XOR Gates 1 and 2 is 0 and 0. The output of XNOR gate 3 is a 1.
indicates that the binary number 1011 does not have even number of 1's. dense logic circuits to be manufactured. potential VDD = 5 Volts. the circuit density, power consumptions, frequency response etc. Offers a wide variety of gates, devices, arithmetic units etc. high speed transmission, high speed memories and high speed arithmetic units. These ICs have very low power consumption. which is printed on the IC package. the code identifies the switching speed of the gate. 14 are used for ground and supply voltage respectively. 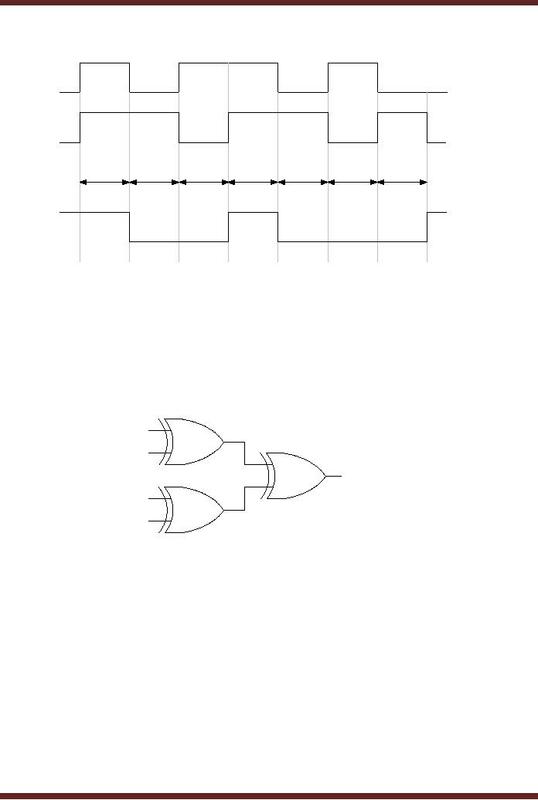 7486, Quad, 2-input XOR Gate IC and the 74266, Quad, 2-input XNOR Gate IC are similar. 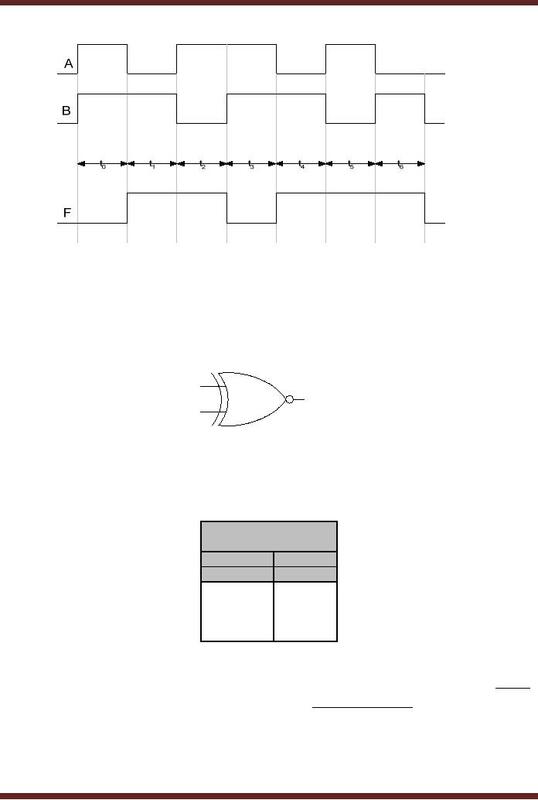 considered whilst designing Digital Logic Circuits are mentioned briefly. voltage ranges determine the suitability of a gate to work in noisy environments. frequency at which these gates operate. o Gates do not instantaneously switch to a new output state after the inputs are changed. logic gate can be changed and the logic circuit can operate. o The number of gates that can be connected to the output of a single gate.